In the summer of 1928, Robert Tyre Jones, Jr., one of the greatest golfers who ever lived, teed up a ball on the very roof of the continent, settled himself, and smacked it into the air. The spectators—among them men who had carved these first nine holes out of a mountain wilderness—sensed that a little bit of history was being made, and rightly so, because that ball launched the Highlands Estates Golf Course. Highlands Country Club’s physical assets primarily feature a beautiful, challenging, Donald Ross-designed, 18-hole golf course and its support buildings and various roads. The property totals some 107 acres at an elevation of 4,200 to 4,300 feet above sea level. In the fall of 2005, after several years of planning, the Club built a new, magnificent clubhouse which will meet the needs of the Club for many years to come. 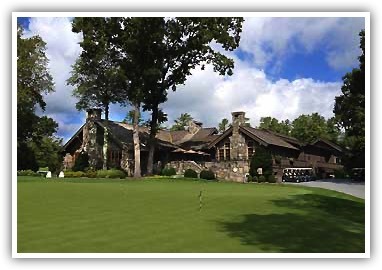 The new clubhouse, whose design and decoration is very much in keeping with the North Carolina Mountains, has exceeded the members’ highest expectations for function and comfort. Three large stone fireplaces, along with wood, stone, and tree-bark, give the clubhouse a warm, comfortable feel. The 29,000 square foot facility includes a main dining room, casual dining room, private dining room, and dining porch. There is also a lounge, dining terrace, and ladies’ and men’s locker rooms. The golf shop is also located in the new club house. Without a doubt, the Highlands Country Club possesses a clubhouse that equals the quality of its wonderful golf course. Developed by Arvida with course designed by Arnold Palmer this beautiful, gated community has many lakefront and view homes. 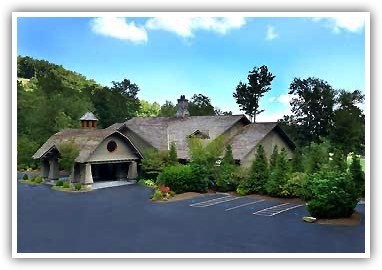 Cullasaja Club of Highlands is a member-owned, private club situated at a cool 4,200 feet above sea level in the scenic Blue Ridge Mountains. As you enter the gates to our community you begin to understand why so many of our members call this home. It's where their hearts are. We offer a premier 18-hole golf course, an exceptional driving range and practice facility, a state-of-the-art fitness center, six tennis courts, and an expansive heated swimming pool. For nature lovers, we have an on-site "Yacht Club" for canoeing, kayaking and bass fishing along Lake Ravenel, and acres of walkways along forests and streams. For dining, we offer a myriad of venues. The Dining Room, the Terrace, the Pavilion, the Grill and the Lounge -- all offering elegant, yet casual, mountain ambiance. The Club, first established in 1987, became a private, member-owned Club in 2000. Today, membership is by invitation only and is capped at 330, keeping our environment serene and creating an ideal golf, tennis, social and fitness club. 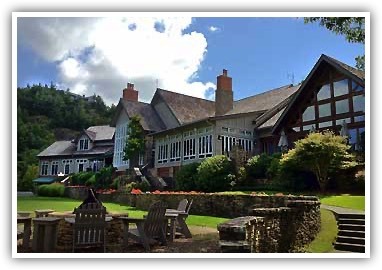 The Old Edwards Club is a private members-only club that is also accessible to guests of the Old Edwards Inn and Spa. The rustically elegant architecture of the clubhouse, as well as the warm wood and rich leather of the interior, promote full relaxation and an incomparable air of carefree leisure. The Tom Jackson designed golf course is an architectural marvel that cascades along the Eastern Continental Divide in the mountains of Western North Carolina. Old Edwards Club offers the finest in club lifestyle but with a relaxed, family environment. Members and guests enjoy a full-service restaurant and bar with scenic dining veranda, the Chimney Terrace slated fireside patio, a fitness center with locker rooms, outdoor heated mineral pool, clay tennis courts and a fully stocked golf shop. Floor to ceiling windows in the restaurant and clubhouse afford panoramic views of the rolling landscape and the first tee. Located in the shadow of Whiteside Mountain, Wildcat Cliffs boasts a completely redesigned club house, complete fitness facility with indoor pool, and no tee times. A George Cobb designed course. The magnificent site of Wildcat Cliffs Country Club at the base of the north slope of Whiteside Mountain is certainly one of the most spectacular and beautiful locations for a golf course in the United States. Its superb vistas and sparkling air inspired those who developed the Club through the early years and have continued to refresh members‘ spirits with a deep sense of delight every summer. 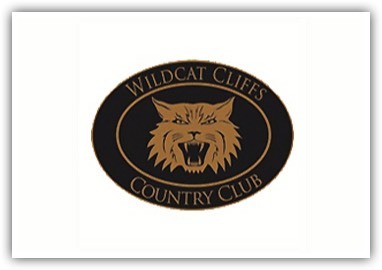 Our wonderful 21,000 square foot Clubhouse is the cornerstone of Wildcat Cliffs Country Club. The Clubhouse includes a Golf Pro Shop that provides top notch instruction, the latest in golf apparel and equipment and a full service dining room with cathedral ceilings. Or if you prefer to dine outside on a cool summer evening, the covered terrace is a nice choice. The friendly, professional and experienced wait staff and outstanding culinary team make for an outstanding dining experience. 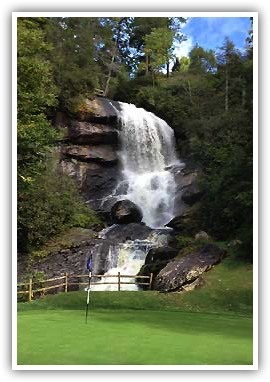 Tucked away in the majestic mountains of western North Carolina, is a beautiful, private community, so-named for the spectacular waterfall, formed by the Cullasaja River, and located on #15 green. This private, Member-owned club rests inside a 550-acre gated community comprised of approximately 350 homesites. Highlands Falls Country Club features a championship 18-hole, par 70 golf course, with greens built to USGA specifications. This premiere golf course, designed by Joe Lee, has evolved into one of 'Golfweek's' most distinguished southeast courses. Aside from the natural beauty of Highlands and the Highlands Falls community, one of the most attractive features about HFCC is the friendly atmosphere of the Club. The membership is the best part about Highlands Falls. Here, you can meet and mingle with old friends while making new friends as you join in the numerous activities available to all our Members. The opportunity to golf on one of the southeast's most prestigious courses is a big attraction in and of itself. However, aside from our impeccably groomed golf course, we offer swimming, tennis on one of four high quality har-tru courts, a new fully equipped state-of-the-art fitness center, new croquet facility with outdoor bar, fishing on six of the ponds located on the golf course, a fashionable golf shop, fabulous dining and a wide variety of social activities. All five courses are 18 holes.